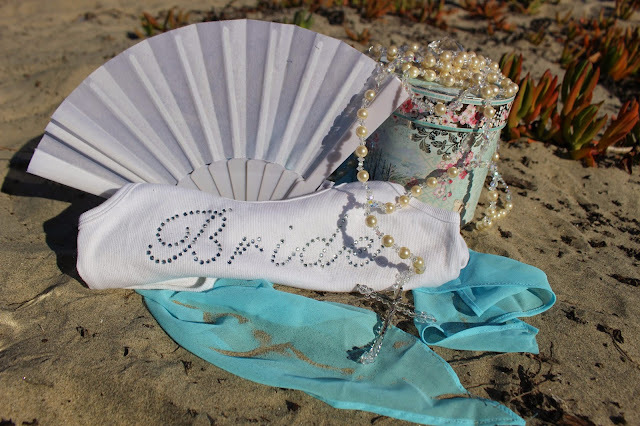 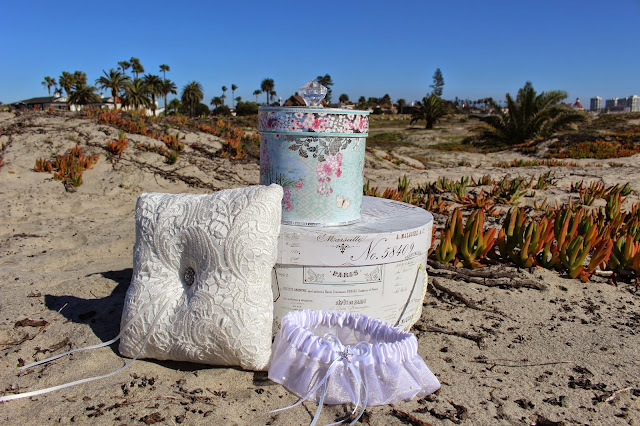 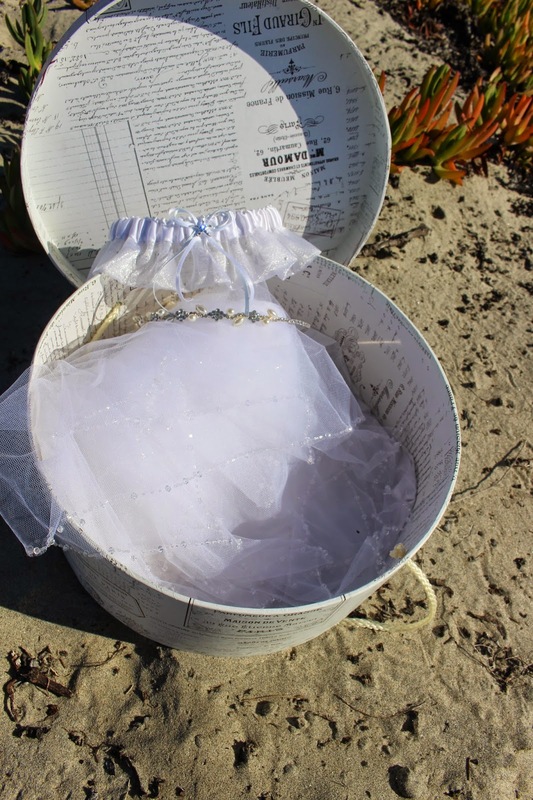 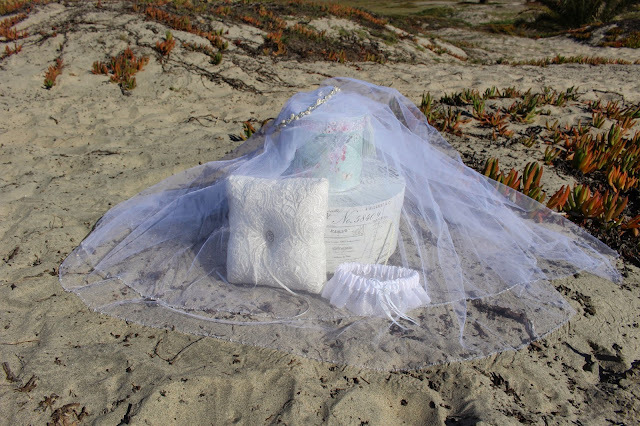 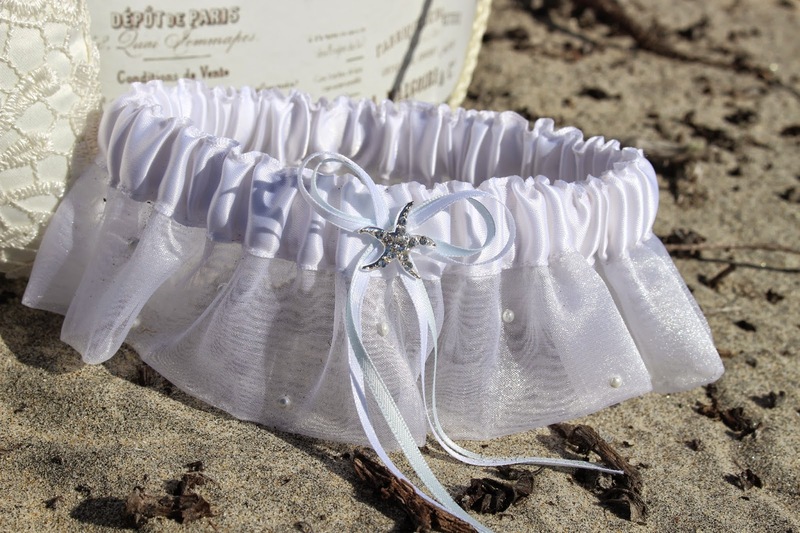 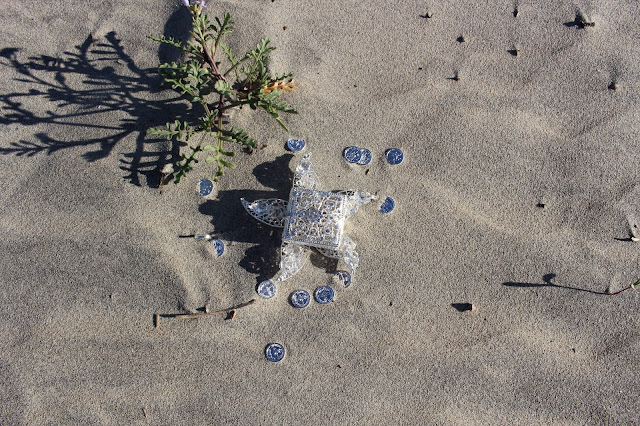 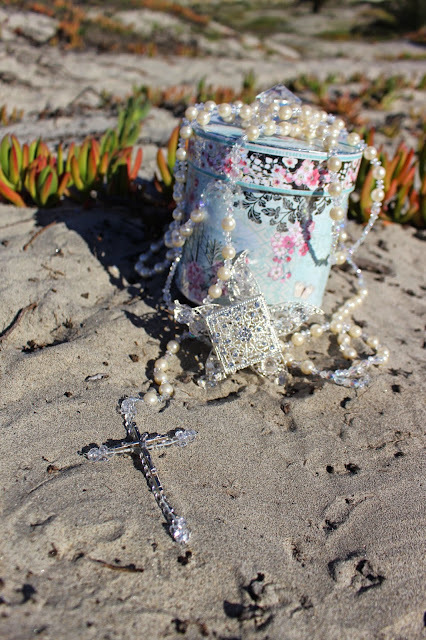 I included beautiful unique items that were symbolic for our beach wedding ceremony. Wedding Veil had beautiful crystal all around the end of the Veil, in person it shined so beautiful with the reflection of the Sun. 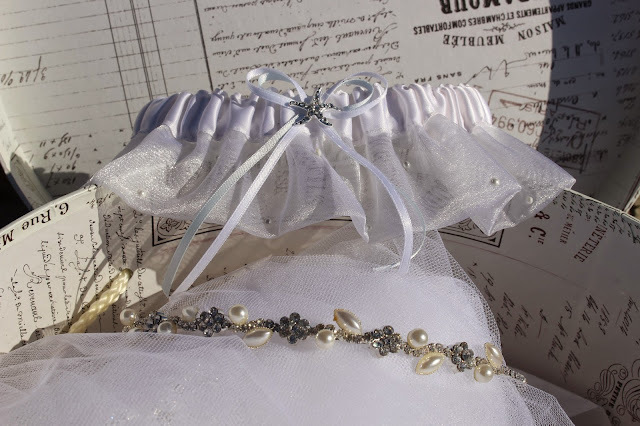 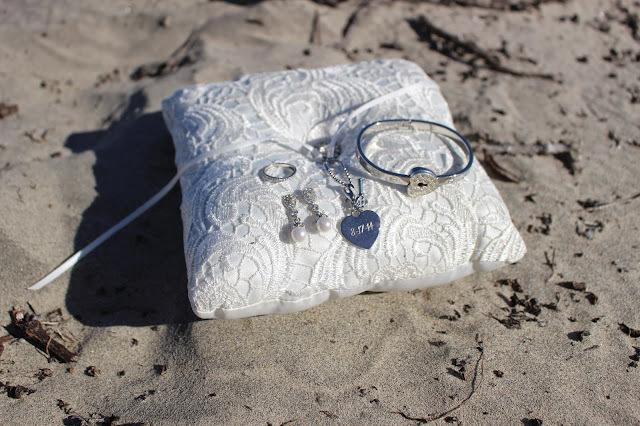 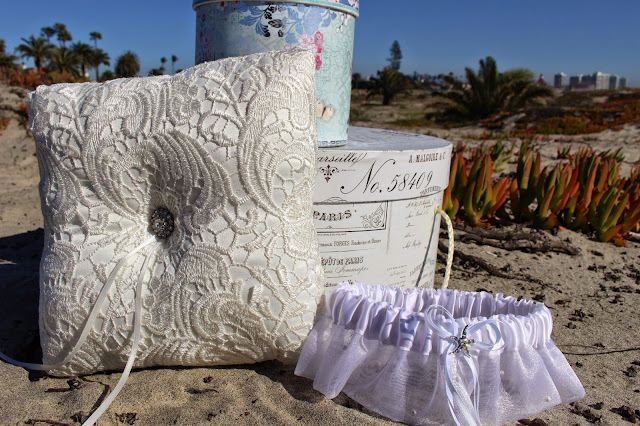 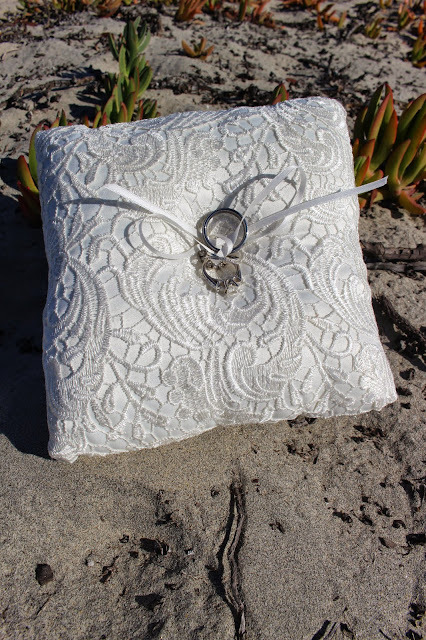 A beautiful Lace pillow to hold our rings. 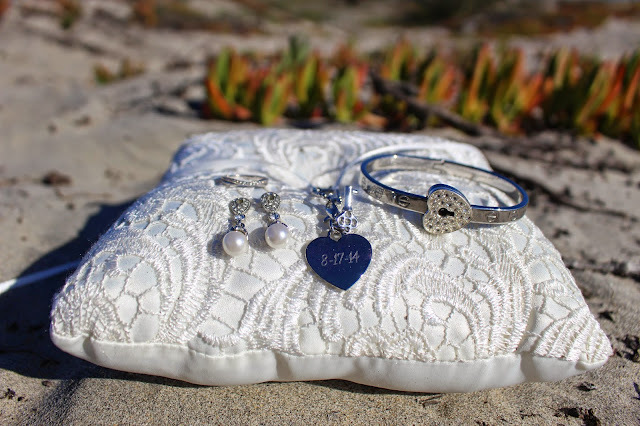 I gave each Bridesmaid a Heart bracelet with a Key and engraved heart with our wedding date. 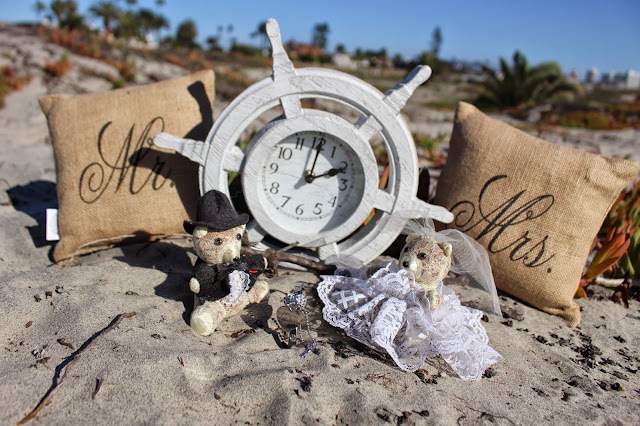 The ship has sailed for a 2 o'clock wedding "I Do's"
The Lasso & the Star Fish Case with the Arras were an important part of the ceremony, since we decided to have a religious symbolic ceremony. Most Brides decide to do an all Christian or all Catholic ceremony inside a Church, but we decided together to do an outdoor wedding to blend both families near God's beautiful ocean.